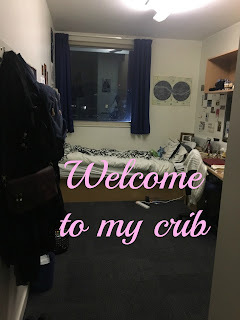 This week I started my final two weeks living in my university halls on campus, so naturally I decided that this would be the best time to do a room tour. 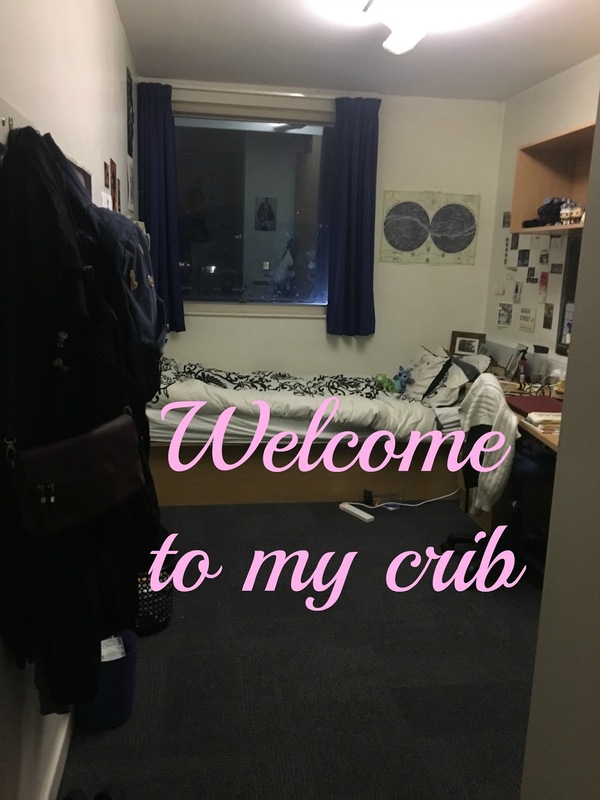 It’s your standard student halls room though so I doubt it will be much different from any other first year. Apart from the fact that I have my fridge in here and not in the kitchen, with nine people living in one flat though it makes sense for space. It’s also amazing for snacking when pulling all nighters. 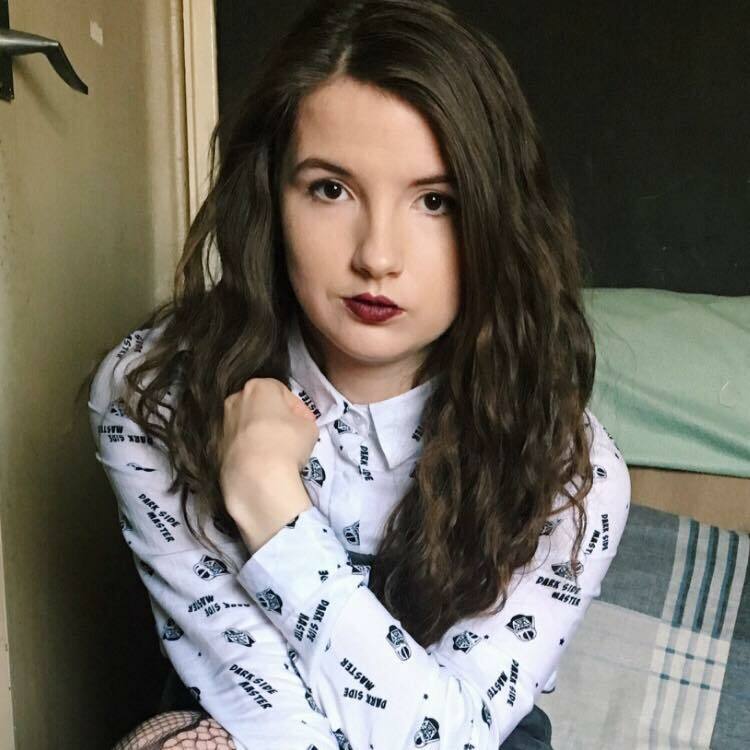 Without further ado, hi this is Julia and welcome to my crib. Just imagine I have sunglasses on and am waving my arms around to showcase the grand entrance to room i. This is the view from my doorway, to the right is my bathroom, I won’t take you in there though because it isn’t very interesting. From here you can see out of my window too, and I am lucky enough to have a view of canary wharf due to living on the fourth floor. I love this view, especially at sunset; it really just immersed me in the city from the day I moved in. My desk is fairly big which was fantastic for when I needed to lay out all my books and notes to write essays. I will admit that it is only when my exams finished that my desk became this clean, during that period it was a sea of papers and flashcards. Fingers crossed the studying paid off. It has the generic pinboard backing that I think most halls have. Above my desk I have two shelves, one to house my tsum tsums (I do have more back home) and books. Most folders have returned home so imagine this shelf a bit more bulging. I have spilt too much tea on this bedding, might need a new set.. The right hand shelf carries most of my cute decor, just funko figures, a tangled figurine and a cactus named Geoff. The purple skull my friend got me, Billy (the skull) normally rocks a Russian hat but today I am using him to keep sunglasses and hair accessories safe. He’s pretty much dressed for a festival with the flowercrown. My duvet probably looks a little odd but that’s because it’s a double on a single bed, you can’t burrito as easily in a single duvet after all. Above it are tickets and photos from places I’ve been to over the last few years, and a celestial chart I bought in paperchase. The tour finally concludes on the last wall of posters and decor; no room of mine would be complete without a cute Disney area. The miscellaneous next bit is a collection of fanart and postcards mainly, with Kylo Ren towering over it all. I’d love to hear your recommendations on places to get nice postcards or if you’d like to exchange one because as you can see I am starting a little collection. This is the first and last time you will see this room properly on here so I hope you enjoyed the tour of my room!